It’s finally Friday, Baltimore. It’s a Friday after a hell of a long week, too. Between the crazy weather and the even crazier Libyans and all the other stresses of grown up responsibility, you look like you could use a drink. Not just any drink will do on a Friday though. 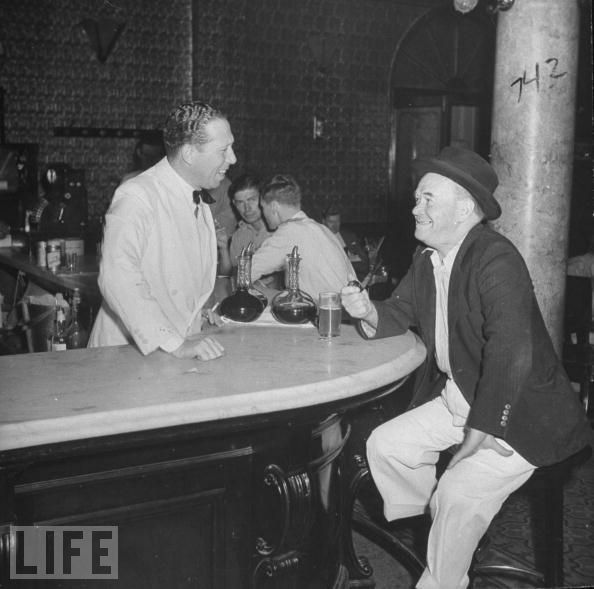 A pint of Boh or a shot of Pikesville in your ginger ale is seldom enough to wash away the travails of a long week and make the clock slow down for the rest of the weekend. A Friday night calls for a proper cocktail. A visual approximation of the Chop getting stewed with Post Prohibition. You’d be hard-pressed tonight to find any bartender pouring better cocktails that Josh Sullivan down at the Gin Mill. Josh is the writer behind one of our favorite local blogs Post Prohibition, which is an outstanding one-stop resource for all aspects of quality cocktail consumption. Featuring everything from original recipes to bottle reviews to house made add-ons (like scratch grenadine and bitters), Post Prohibition is an ever-expanding resource for anyone with a serious interest in cocktail culture. The Libation Lounge is an occasional series of events where Josh comes out from behind the blog with a custom drawn menu of seasonal cocktails. Some are classics, some are updated, and some are original creations, but all of them are well-made and worthy of a taste. You can take a peek at the Hendrick’s-heavy Spring menu here, and we dare you to have a look and not find something you’d want to try. The Gin Mill is at 2300 Boston Street in Canton. The Libation Lounge event begins at 7 pm and will go on until last call. Thanks for the kind words! Did you have a favorite cocktail? That would be like asking Mother Teresa to pick a favorite guttersnipe. It can’t be done!